NHL News : Fans enraged after Golden Knights revoke their season tickets! 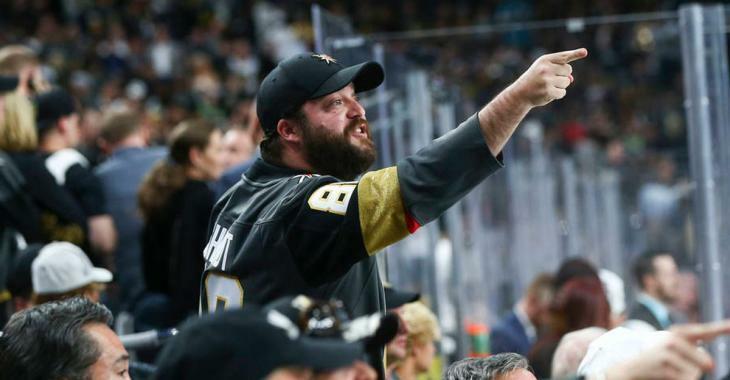 Fans enraged after Golden Knights revoke their season tickets! We can understand that the hype of the Golden Knights in Vegas is pretty strong, however, it shouldn't force the team to get local fans only coming to their games... According to a stunning report by CBC, a Calgary family — who purchased season tickets before the Golden Knights' first NHL game — has revealed that their membership has been revoked without warning. Cheryl Sullivan says she and her family have been fans of the Golden Knights ever since the expansion was announced, and have been season ticket holders since day one of the team's inaugural season. It will however have to change for the poor family. The Sullivans admit they only made it to about half of the 41 home games last season seeing that they reside in Calgary. However, during the Christmas break, the family made the trip to Vegas and saw four games, and picked up their fan appreciation gift box. And then all of a sudden last week, their membership was suddenly revoked by the team. CBC reveals that Sullivan was informed by email that the team says her account "was used primarily for the purpose of reselling tickets on the secondary market" which "harms fans" who want memberships to attend games themselves. She contacted the team, but it didn't change their decision to revoke their membership. Sullivan isn't the only one either. "I shouldn't be any less of a fan if I can make it to 10 games or 41 games," Sullivan said, adding that the representative told her the decision was final. The Golden Knights said in an emailed statement that the membership agreement full-season ticket members agree to, includes a note that the team "does not condone members who purchase a membership with the intent of profiting off their purchase. The Sullivans, and many other fans in the same situation, believe this is more than unfair, especially in the way the matter has been handled.